Was February 2018 the month of love for you? Our month started off in England and we got back to South Africa on the 12th. I think Valentines Day snuck up on Dave and this is the first year since 2001 that we did not go out for a meal. Or make something special at home. February 2018 ended with a trip to Welkom for the motor racing. 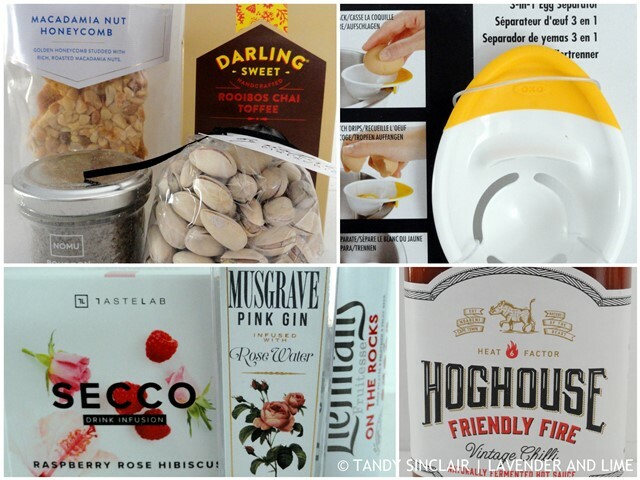 The February 2018 box included a few sweet treats which Dave will enjoy. We devoured the pistachios with our evening whisky and I will try the gin the next time James comes over for a drink. I have left the egg separator in the kitchen to see if I make use of it. The last one I had broke over 10 years ago and I have never bothered to replace it. I have used the blueberry flavour powder to make meringues. I felt all cheffy when I used it and cannot wait to share with you what I have done with the liquorice powder. I bought these hibiscus flowers in France last year. They are amazing to use in desserts and I shall start being more adventurous with them. My plan is to start growing herbs on my windowsill in the scullery. To that end I needed to clear the ‘stuff’ off of it. I have not completely succeeded but I have managed to fit this kitchen caddy onto the worktop, between the sink and the wall. I bought a new muffin tin so that I could make my Pasteis De Natas. 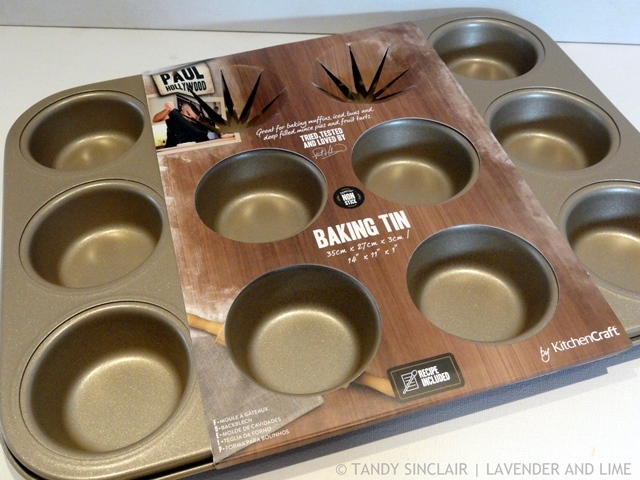 Once again I have chosen to stick with the Paul Hollywood endorsed tins even though they scratch very easily. I am hoping that the investment will be worth it and that they will last. This post has been linked up with #IMK over on Sherry’s blog. Intrigued by the blueberry powder, Tandy. Tandy can I ask why you went for them if they scratch easily? Are they better in other respects? I’m always looking for good quality baking tins. They are a good quality and sturdy. And hopefully the scratches don’t affect their efficacy. And I like things to match 😉 and I have a few of this brand already. 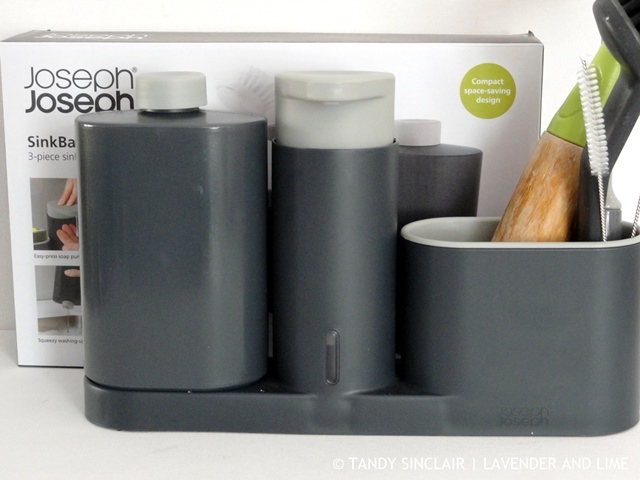 That kitchen caddy looks so practical and stylish at the same time – what a lovely way to keep things organised around the sink. I can’t wait to see how you use the licorice powder – it sounds a challenging ingredient. Sweet or savory recipe? 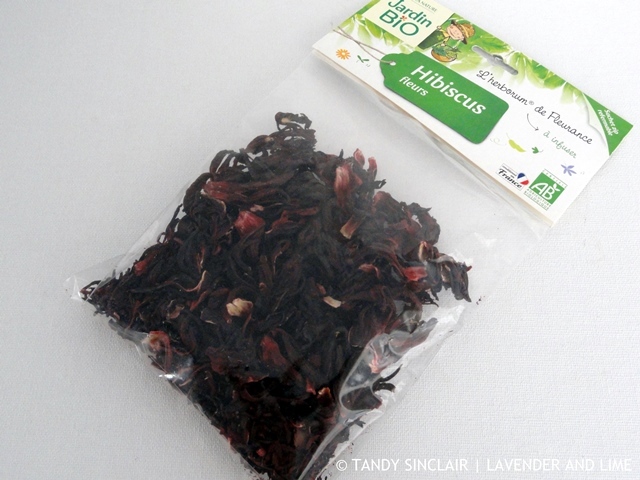 Am off to France on Monday for a day of food shopping so will look out for those hibiscus flowers! 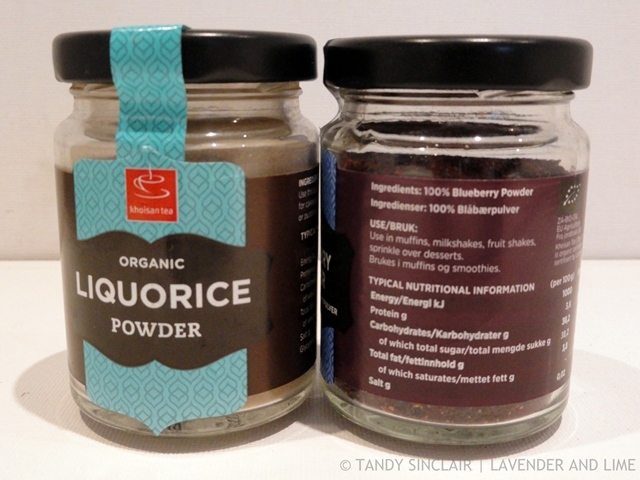 Licorice powder has some interesting potential for what it could add flavor to. The only licorice-flavored item I can think of is — licorice! I love peeking into other people’s kitchens and the visit to yours was interesting because you use some ingredients, like the Hibiscus Flowers and the powders, that I never use. I have to find a better way to grow my herbs as at present they are not working out too well!